When you hire a fencing company you want them to be responsive, friendly, have a solid track record, and most important – you want them to build a fence that looks great and lasts a long time. We’re confident we will meet or exceed your expectations. 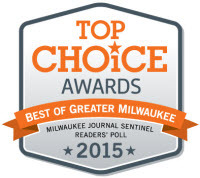 Since 1977, we have been the premium fence contractor of choice for Milwaukee area residents. We got to where we are today because of our 100% dedication to providing top quality and the best customer service on every project we work on. See What Makes Us Different. The entire job went smoothly and we are very pleased with the results. We recommend A-1 Fence and would not hesitate to use them again for any fencing needs. We were very satisfied with the service. They did an excellent job and cleaned up after themselves.